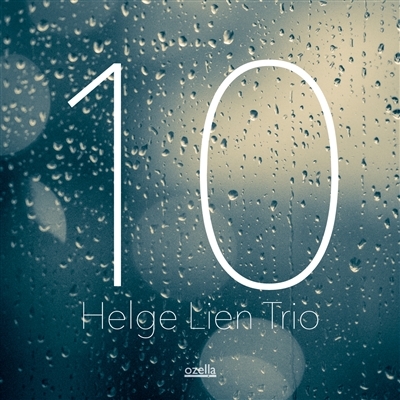 The sessions to the new Helge Lien Trio album were not supposed to be special. And yet, they could never be business as usual. After the departure of founding member Frode Berg, the group were "at a crossroads," says Lien, and in need of a fresh start. They found it by leaving their comfort zone: For the first time in 15 years, they did not record at the Rainbow studio in Oslo. The change of location turned out to be productive. In the end, the musicians had two full records' worth of material – and none of it fit the glove of a conventional trio recording. The sheer abundance of approaches and concepts makes 10 feel like a factory of ideas, an expansive world for letting go and losing yourself in, like a clockwork ticking at the pulse of passion. It presents a panopticum of this unique formation's versatility, including onomatopoetic piano paintings and hypnotic grooves, experimental abstractions and runic jazz. Lien is known for being capable of everything – this time, he just did everything all at once. It was obviously critical how new bassist Mats Eilert would fit in. All doubts, however, are quickly dispersed on opener "Be Patient". Appearing behind Lien's crystaline piano cascades, Eilert turns his instrument into a poetic device, imbuing the music with a sense of magic and mystery. The other members, too, are awarded their spot in the limelight. In the solo pieces, their individual voices sound more recognisable than ever, while forging an even tighter unit in the band settings.. Some have referred to the trio's style as 'new chamber music' – it is not hard to understand, why. Lien himself especially has grown as a composer and performer. Some of the most striking passages are reminiscent of his ambitious solo record Kattenslager from 2012. On other occasions, he pushes the beat forward with impulsive staccatos, at times separating himself from the rhythm section, at timese closely aligning himself with it. There's no easy way of explaining this album. Some of the pieces are autumnal and consoling. Others feel more forceful and disturbing. But they are all connected. Like twins in a dark room. Like all the different and sometimes contradicting ideas that haunt Helge Lien whenever he sits down behind the piano - and which all suddenly make perfect sense.